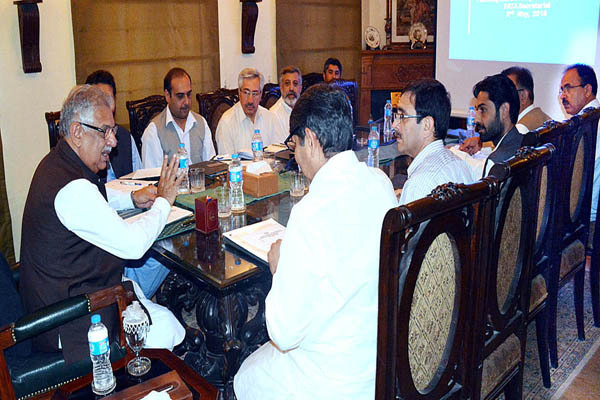 PESHAWAR, May 3 (APP): The construction work on multi-purpose Kurram Tangi dam project on the Kurram River in Bannu and North Waziristan Agency will start from next month, the Khyber Pakhtunkhwa Governor Iqbal Zafar Jhagra was informed in a meeting held here on Tuesday. The meeting was arranged by FATA Secretariat to brief the government on foreign funded projects in FATA. Additional Chief Secretary FATA Muhammad Aslam Kamboh, Director General Project FATA, Deputy Director, Coordinator FISP, Chief of Party USAID Muhammad Fahim, Project Director, Program Manager and other high officials attended the meeting. Kurram Tani dam have been finalized and the work would start in next month. The project will provide water for agriculture, generate low-cost hydroelectric power and create employment for local residents.